A prolonged council development is being blamed for a popular Adelaide Beaches restaurant’s lack of trade and closure. The owner claims the restaurant had been bringing in $1500 a day during winter last year, but this year customers would walk in and walk straight out due to noise, bringing daily revenue down to $300 per day. Tourism operators on the Adelaide Beaches are being asked to keep an eye out for which businesses capitalise on the now-empty, now-premium retail spaces. Whilst no-one at local government level may be directly responsible for delays, many big businesses habitually swoop on ailing properties, and it’s not unheard of that the beneficiary of a vacant property may have had a hand in driving the previous owner/lessee out. Consider the benefits of a vacated commercial property for the replacement business owner or other stakeholders: decreased rents for the new tenant, or a discounted property purchase price; cancelled leases that may have been troublesome to previous lessor or local council; removal of any previous subversive tenants; special council concessions on a vacated property, e.g. waived rates for a few months; fire-sale prices on commercial equipment/ fitouts; public impetus to approve any new business no matter what goes in. Yes, council process does warrant lengthy construction periods – red tape can throw construction of anything off for months. 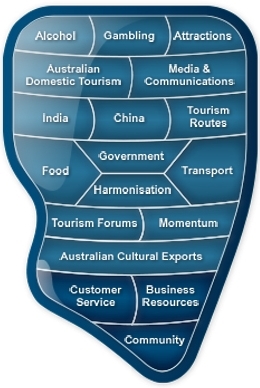 But I am crediting council employees, especially civil engineering types, when I say that their best laid plans can be foiled by forces that are the bread and butter of development industries, especially in hospitality and retail. A developer who has the cash to build a new building and open up a well-branded, high-functioning business (cafe for example) with all the bells and whistles in just a few weeks is not a person who will be thrown by the small matter of a stubborn tenant. A RESTAURANT owner says disruption from the $8.4 million Henley Square redevelopment “killed” his businesses and is costing traders hundreds of thousands of dollars in lost revenue. Zootz restaurant closed last Wednesday after the Australian Taxation Office lodged an application with the Australian Securities and Investments Commission to wind up the business. 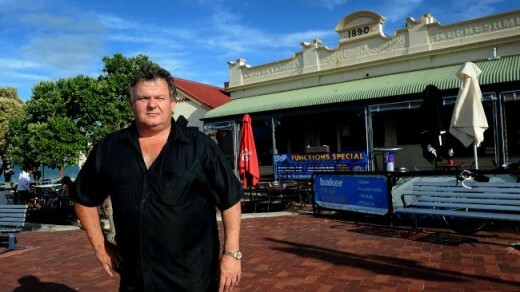 Zootz owner Michael Crossley is seeking legal advice and has not ruled out suing Charles Sturt Council for lost revenue. He said the council’s decision to upgrade the square in one eight-month hit, rather than in stages, made it hard for businesses to survive the downturn in trade. “There is no doubt that (the construction) work has killed businesses – we are all losing money,” Mr Crossley said. Work on the square started in April and is set for completion during the week starting November 16. Mr Crossley said the restaurant brought in between $1000 and $1500 a day during winter last year. “I had customers that would walk in and then walk straight out and go across the road because they could not bear it,” he said. Redevelopment of the popular beachside precinct will include a central water feature, timber promenade connecting Henley Square with the jetty, stepped terraces to the beachfront, larger grassed areas and new seating. Zootz’s closure after ten years of trading came less than two months after another longtime Henley Square restaurant, Cafe Evida, shut its doors. The former Cafe Evida restaurant remains vacant. Mr Crossley said the council should have upgraded the square in stages over two years to minimise disruptions to traders. The northern carpark, next to Cafe Evida, was reopened in August. “You cannot close a carpark and think that it will not have an effect on businesses,” Mr Crossley said. Charles Sturt Mayor Angela Evans said she was “personally saddened” by Zootz’s closure. “But I think there are mixed feelings as well – some see it as the sign of the times and a chance for reinvigoration around the square,” Ms Evans said. Ms Evans admitted the redevelopment “could have been planned a bit better”. She said the project was delayed by two and a half weeks after the council accepted the traders’ request to hold off scheduled work on Seaview Rd until after the northern car park reopened. Traders were also provided more than $50,000 in rate subsidies to help offset a loss in trade. She said business owners all agreed to complete the project as quickly as possible, rather than in stages. “We did get feedback from businesses that they were experiencing pressures, but none said they would not survive,” Ms Evans said. The Federal Court last week appointed insolvency firm Ferrier Hodgson to liquidate Zootz. Ferrier Hodgson partner David Kidman said he was in discussions with “all interested parties”, but had “limited information at the moment” on Mr Crossley’s affairs. Mr Crossley said he owed money to the Australian Taxation Office, as well as other creditors and suppliers.